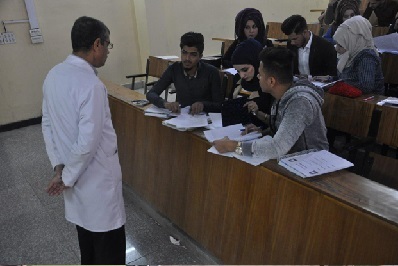 The Department of Electromechanical Engineering at the University of Technology has set up a PBL-based learning method for students of the fourth phase of the Energy Engineering and Renewable Energies Branch in the field of Energy Efficiency by Assist. Prof. Dr. Jalal Mohammed Jalil. The subject of the lecture was the isolation of hot pipes to conserve energy. More than one insulator was tested to obtain the required thickness to compensate the cost of the insulation after three years. This method is used to obtain the students' outputs and to apply the criteria for ABET's reliability.